Pathway's relationship with you doesn't have to end when you get residency in Australia. We're dedicated to providing you unwavering support throughout your entire immigration to Australia from South Africa. We know that you'll have many questions about adapting to Australian life, from wondering whether or not you should close your South African bank account to dealing with the Australian Tax Office. Because we have been through the migration process ourselves, we have a truly compassionate understanding of your everyday relocation concerns. Pathway is committed to helping ensure that you set up and happily settle into your new Australian life. We're here for you from start to finish: from choosing the right visa for Australia, to dealing with all of your legal issues and needs, to helping you acclimatise to living in Australia. 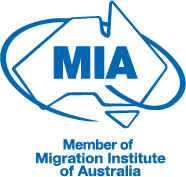 As a welcome to our newly signed legal and migration clients, we offer the first thirty minutes of a consultation on these relocation concerns for free. If you require assistance with these or any other concerns you may have about adapting to life in Australia, contact Pathway's friendly team.